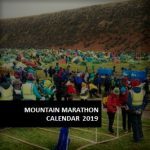 So you’ve booked your race and you’re training is (hopefully) going well. Now let us help you plan your weekend. Whether its stuff for the family to do while you’re out on the trails or rest day activities for everyone, we thought we’d take a look around Cannock Chase and see what else there is to see and do. 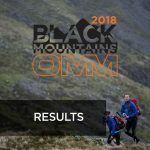 The OMM Festival Event HQ is based right in the middle of Cannock AONB and there is loads to do to keep yourself (and the kids) occupied when you are not competing. From mountain biking and pushchair trails to birdwatching and high ropes courses, it’s all there! There are plenty of Cycling and walking routes right on the doorstep, so if your legs haven’t had enough or you fancy exploring a little more, check out these maps. At Birches Valley Forest Centre (5 mins drive or just over 1 mile walk/cycle) you will find Cannock Chase Cycle Centre for bike hire (including e-bikes) and Go Ape if you fancy monkeying around! Cannock Chase visitors Centre is also a short walk away and amongst other things has an adventure playground, bird watching area and electric mobility scooter hire for a very small fee should any of your group need some help getting around (call the Visitors Centre on 01543 876741. So go and have an explore, there loads on offer for all ages and abilities.